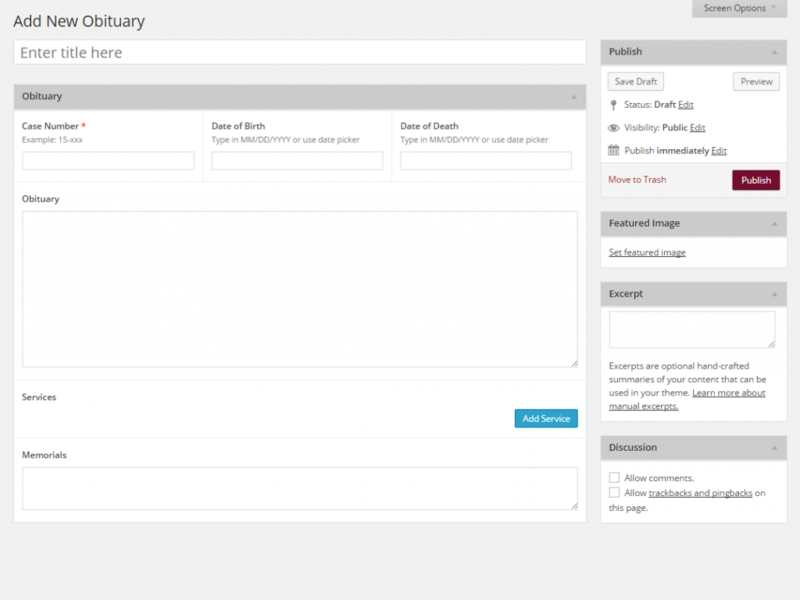 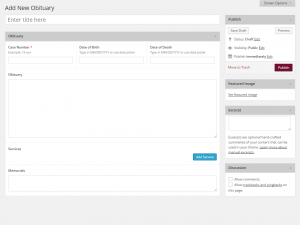 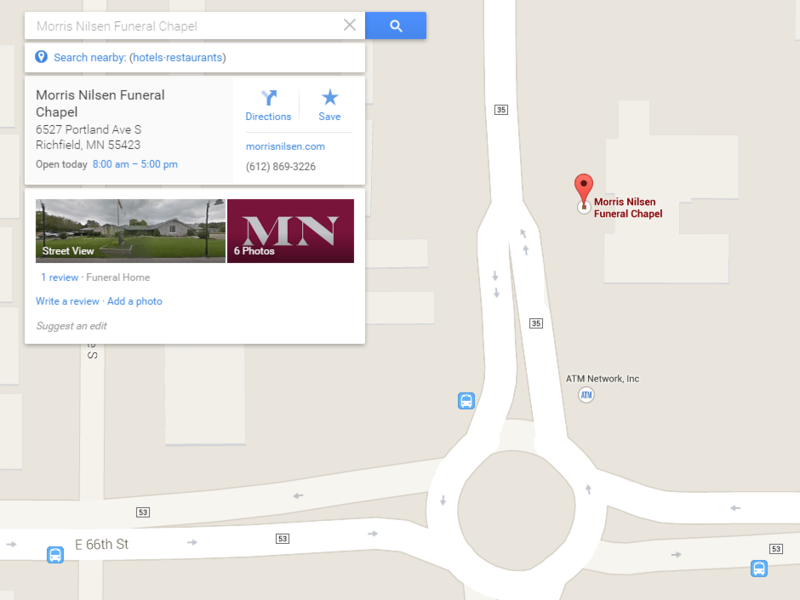 Obituaries are managed through a custom post type. They use Google Maps functionality to aid visitors. 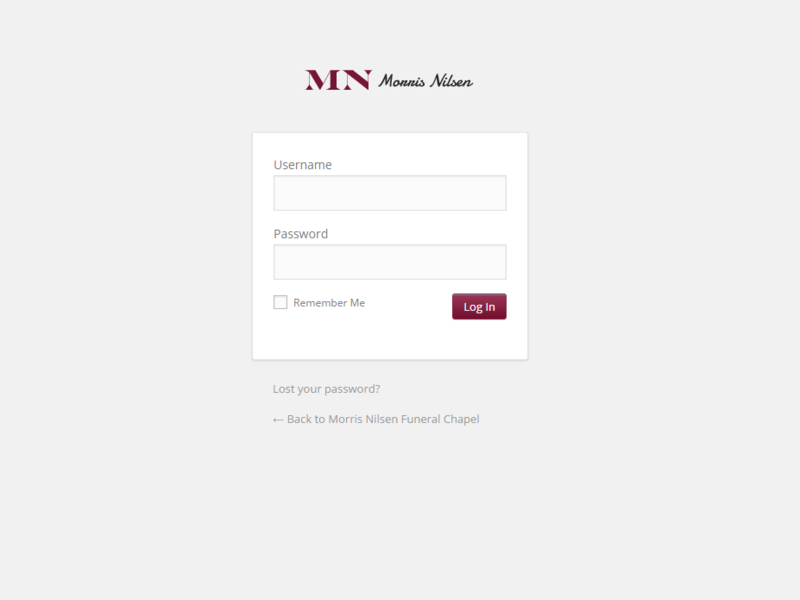 The login page and dashboard are branded with Morris Nilsen Funeral Chapel’s logo and colors.